I'm Alison. I review mainly YA with a few MG books and a weekly manga feature. I got a bit overzealous at the library this week. Epic Fail sounds really awesome! I hope you enjoy it. :) Looks like you got a lot of great books as the library!! Enjoy! Love the library! Really great books like Epic Fail. Enjoy! haha, you did go library crazy! I hope Like Mandarin turns out to be good, I keep meaning to grab a copy of that. Good Books. Love the blog. Will have my IMM later on. Wow, you had a fantastic library visit didn't you! I really want to read The Mockingbirds, that's one I've been meaning to get to but keep getting side tracked by other new releases:) Can't wait to see what you think Alison! The Mockingbirds is so so so so good! It was one of my absolute favorites of last year - and Daisy Whitney is awesome (she even did a skype visit for my students!). How funny! I am currently watching Vampire Knight on netflix. I have never been very good at reading manga or comic books so I have to rely and wait for the english dubbed animes. I want to read Epic Fail! Looks awesome. The Mockingbirds is waiting for me to read it. I've heard great things about it. Happy reading! Like Mandarin is SO good!! I loved it! Loved The Mockingbirds and I really want to read Like Mandarin!! Here's my mailbox. Ahhh, I love Sand Chronicles. It sort of broke my heart. Oh, have you read Strobe Edge? (Scanlated.) It is seriously, seriously good. I wish they'd license it so I could by it. But yeah, awesome mailbox this week. Libraries are love. Hope you enjoy Sand Chronicles! I really loved that manga. Epic Fail is SO on my wish list, can't wait to read your review! Vampire Knight, HECK YES. I haven't gotten that far in the series yet. I got behind when Shojo Beat stopped publishing, and my library has a pathetic manga selection. I think Between Expectations might end up on my wishlist. I haven't posted my mailbox yet (it's 6 AM, I just got up XD) but it will be up eventually. Vampire Knight and the Commoner stood put for me. Nice selection and variation my dear. PS I agree with you Dani from Fever series did get on my nerves in the last one. I kept wondering where Monig was going with that. Overall though still one of my fave series. I really like The Mockingbirds. In answer to your question MARS is a nineties manga, one of the first to come out. It's about Kira who believes all men are dirty and who is an artist and very quiet. She intrigues bad boy Rei enough to want to keep her art work. Pushing past her fear of men she asks Rei to model for her and he agrees. She ends up creating a painting with him as the model entitled MARS. The manga is about their relationship and how they fit together. It's a typical bad boy meets good girl, but good girl has scars. She hides in her art because of what happens to her on a daily basis. It's mature. If I had to compare it to a book I would say its like CRANK by Ellen Hopkins. Difficult subject matter, beautifully written. Overzealous at the library - yep, I know how that goes! I really want to read Like Mandarin and The Mockingbirds; those were lucky finds. SO jealous of EPIC FAIL. I love LaZebnik and can't wait to see what she comes up with for her first YA novel. I still need to pick up Like Mandarin. 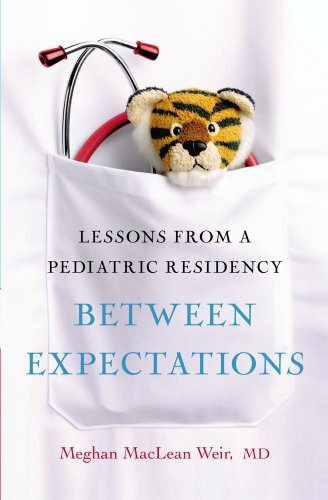 Between Expectations sounds like a really interesting book also! I like reading about other people's experiences in their work. Great books this week! I really need to pick up a copy of Mockingbirds again. I had gotten it from the library, but didn't have enough time before I had to return it. Happy Reading! I've had The Mockingbirds sitting in one of my stacks for over a year now and still haven't read it. I really need to, I've loaned it to friends and they've all liked it. People keep recommending Vampire Knight to me, too. I'll have to get around to that one sometime. 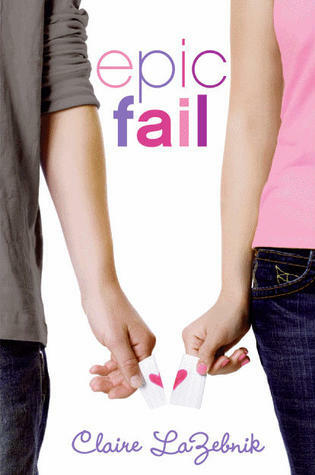 Epic Fail has such a cute cover. I haven't read any of the Vampire Knight manga, but I really enjoyed the second series of the anime (Except for Yuki pronouncing his name as Kanamehh all the time). Anyway enjoy your books, and thanks for stopping by earlier. I really liked Mockingbirds.....great IMM this week! Great mailbox! Epic Fail looks awesome, and Between Expectations looks really interesting. Happy reading! Wow between expectations sounds right up my street...may have to go find that one! Epic Fail looks really good and I really want to read The Mockingbirds! I hope you enjoy your new books!! OMG Epic fail looks so cute!! How is this the first I have heard of it!?! Between expectations is on my list too!! Let me know what you think. 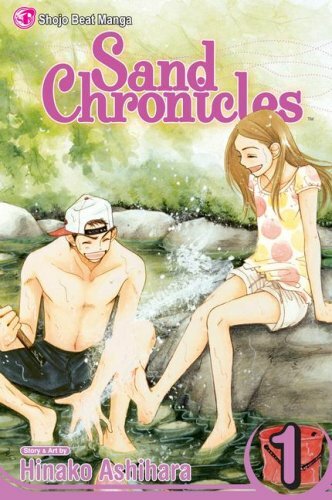 The sand chronicles is pretty awesome too! Nice mailbox! I have The Mockingbirds on my TBR pile, but haven't gotten to it yet. Don't you just love the library? I can never seem to walk out with just one book, no matter how hard I try! Enjoy! I really want to read Epic Fail - it looks so good!! Fantastic books! I finally got around to requesting "The Mockingbirds" at my library. Looks like a fantastic book. Thanks for stopping by my blog - enjoy your books - I'll keep an eye out for reviews! I can't wait to read Like Mandarin! And great books this week. Happy reading. Epic Fail looks cute, and The Mockingbirds and Like Mandarin caught my eye. Gotta love free books from the library ;) my favorite place too! Thanks for stopping by mine. 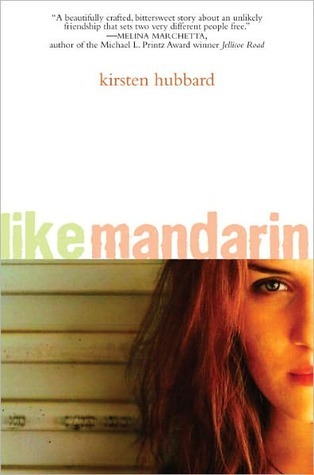 I love the cover for Like Mandarin. Thanks for stopping by. You got a great haul, as well! So many interesting books. Enjoy! That's the great thing about the library--you can overindulge to your heart's content and it doesn't cost you anything (except, perhaps, late fees). Happy reading! Wow. I wish our library would get with the program. We SO need a better selection, most of this we wouldn't have! Enjoy, friend! Beautiful blog too btw. Thanks for stopping by and I'm following you! wow, great haul!You have some adorable looking manga in there as well! Enjoy! The Mockingbirds is wonderful and Like Mandarin is on my to-read list. Happy reading! Yay for overindulging at the library!! :D There's not a thing wrong with that! You got some great books! I've been meaning to read Like Mandarin! Oh my gosh, I LOVED the Vampire Knight series. I haven't been very good about keeping up with it since manga are so expensive. Nice list! Epic fail looks good. Awesome books this week :D Epic Fail looks good, I've been waiting for a book to be titled that for a while now lol. I've also been dying to read Like Mandarin and Mockingbirds even tho they've been out for a while lol. Happy Reading! Epic Fail looks great! And you found some stellar books at the library. Vampire Knight and the Sand Chronicles look fun. It's hard to not go overboard at the library isn't it? All those great books needing to be read and it won't cost you anything?! :) Gotta love your local! great books, alison! i hadn't seen a lot of these! Thanks for stopping by my IMM! Epic Fail looks like a really good book! Enjoy your haul this week! Epic Fail sounds good! Happy Reading! Alison, I'm so envious of you right now. I've been DYING for Epic Fail. It sounds so wonderful! Thanks for stopping by the blog earlier. And happy reading! I thought that Epic Fail was totally awesome! I hope you love it. I also want to read Like Mandarin so I am really looking forward to your thoughts on it! The Commoner looks really mysterious. I like mysterious stuff. Happy Reading! Great stuff this week! Epic Fail looks cute, can't wait for your review! I love the Epic Fail cover - looks so intriguing and cute! Fab IMM, so many great book there, I want to read Epic Fall looks really good. Awesome list! I really want to read Like Mandarin, but it seems my wait at the library just keeps getting extended. I didn't really like the Mockingbirds, but to be fair, I wasn't really in the mood to read something like it. There's a new sequel coming soon, The Rivals (maybe it's all ready out?) so maybe I'll give it a try when I'm in the mood again. I really enjoyed "Like Mandarin" and "Mockingbirds". A lot of great books you received this week. I've wanted to read "Mockingbirds" for a long time. I sure hope you get a chance to read and review it soon. Wah! Vampire Knight! I love you Kaname! I love manga, too but you've also got nice books. Epic Fail looks really good! I've been meaning to read The Mocking Birds but I've heard some great things. Epic Fail looks like a great read. I keep seeing on IMM's. I'm going to have to go check it out. Happy Reading!!! Mangas! I love them. Can't wait to hear what you think about Epic Fail. Great list! 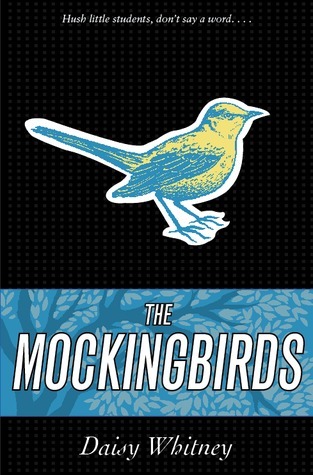 I think my fav cover on your list is The Mockingbirds - love that! Epic Fail looks really good too. I hope you have a great time reading all of them and listening to the cd! Ah I can't wait to get my hands on epic fail!! Can't wait to read your review! Wow! So many great books. I hope you enjoy them all. Oh, I loved 'The Mockingbirds' -- hope you enjoy it! I definitely want to read 'Like Mandarin' as well. OOOO I wanna read Epic Fail, Like Mandarin and the Mockingbirds! Lucky you :) Nice IMM and Happy Reading! I haven't read The Mockinbgirds or Like Mandarin, but I'm really looking forward to them. Happy reading! Awesome book haul! I so want to read Like Mandarin and The Mockingbirds, I've read some great reviews for it. Hope you enjoy all these! I really want to read Epic Fail and Like Mandarin. Great books this week. I want to get my hands on Epic Fail and Like Mandarin. Looks like you got great books this week :) Happy reading! The only one I know is Mockingbirds but have a good read :) I'm gonna have to check out the other ones. Uh... Manga!!! Yay!!! It's so wonderful to find more people that likes manga, hahaha. Great mailbox! I have been wanting to read Like Mandarin. Great collection this week. I really loved The Mockingbirds, I hope that you do too! Epic fail looks interesting, and I like the cover! Awesome books. I can't wait to get my hands on Epic Fail. I really want to read Epic Fail and The Mockingbirds! They both look fantastic! I'm not a fan of graphic novels/comics/mangas but those look cool! Happy reading and thanks for visiting Readers Unite! Librarians love it when you're overzealous! Great books this week... I really need to get crackin' and read Like Madarin. Happy Reading! I want to read Epic Fail and Mockingbirds. I'm waiting for the sequel to Mockinbirds to start reading them! Great haul this week. Sand Chronicles and Vampire Knight 12 look so good. Wonderful set of books! Thanks for dropping by our site. Nice! Great IMM this week! I especially love the title of the first book you have posted "Epic Fail"...don't know anything about the book, but with a title like that, I'm sure I'd like it!